Monson Hotel owner, James Brock, pours muriatic acid in a swimming pool filled with black and white Civil Rights demonstrators. 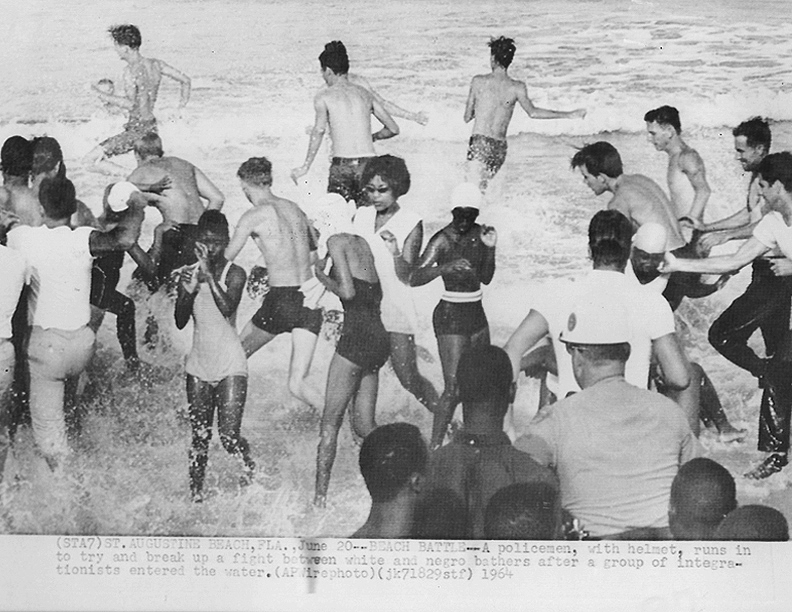 This photograph helped break the filibuster in the Senate, allowing the passage of the 1964 Civil Rights Act. DARE NOT WALK ALONE explores the little known Civil Rights movement in St. Augustine, Fl and it's aftermath. 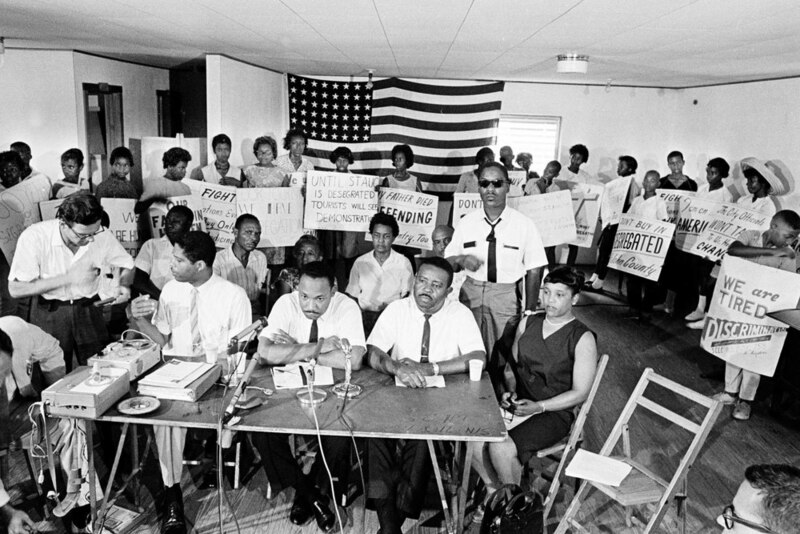 Uncovering long forgotten footage, including scenes of the near death beating of Ambassador Andrew Young, and a motel owner pouring acid on a swimming pool filled with Civil Rights demonstrators, Dare Not Walk Alone charts how the St. Augustine movement was pivotal in helping pass the Civil Rights Act of 1964, and how local residents continue their struggle to claim the equality promised by the movement forty years earlier. 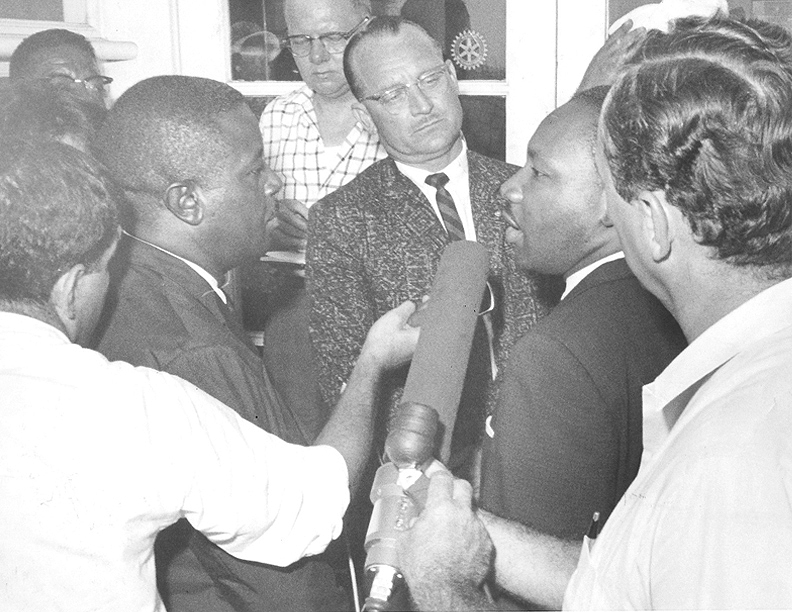 Declaring, "A long hot summer" Dr. King comes to St. Augustine to help the local movement already underway. White ant-integration protestors rally in the Old Slave Market in downtown St. Augustine. Local residents march in the streets encouraged by Dr. King.